Located in TID/TIF #125 Acres of industrial land ready for development. Located near several successful industrial parks, and less than 5 minutes from the Interstate 41. 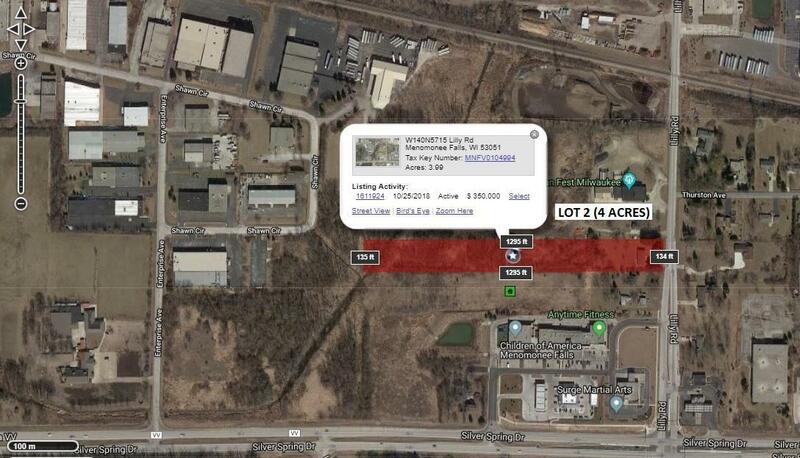 This is a rare opportunity to build an industrial building in Menomonee Falls, and close to Milwaukee (but not in Milwaukee). This site has the potential of a 9 acre site, as the adjoining property of 4 acres is listed and available. Listing provided courtesy of First Weber Inc - Menomonee Falls.